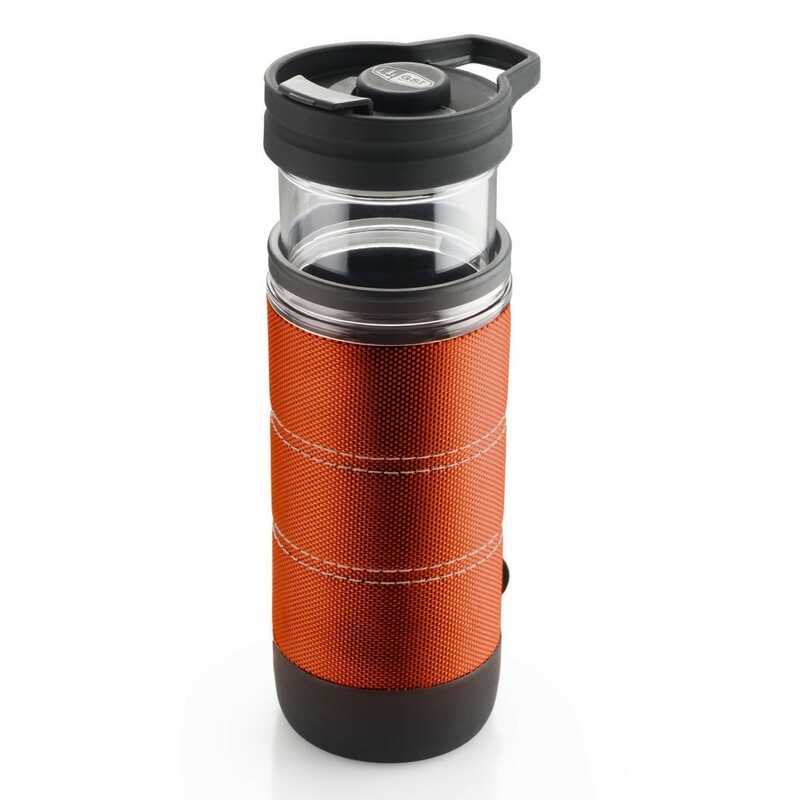 With the Commuter JavaPress's slim shape and non-slip foot, your favorite, freshly-brewed, French Press coffee is as close as your cup holder, standing vigilantly beside you as you thread your way through traffic. And, thanks to its clever design which eliminates the obtrusive metal rod of classic French Presses, the lid unscrews effortlessly, allowing you to add cream, sugar or your favorite flavorings with a simple stir. More importantly, with its grit- and blow-by eliminating mug-within-a-mug innovation, you can be certain that your coffee will be brewed to perfection no matter where you find yourself mornings.Weight: 10.4 oz..Material Copolyester, Foam.Dimensions 3.8 x 3.0 x 7.8.Includes 15 fl. oz. 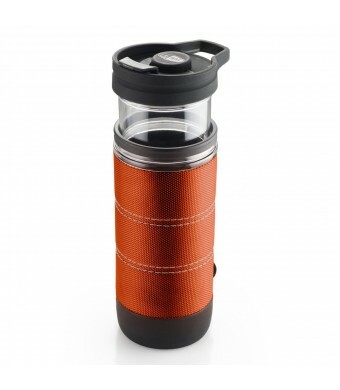 Press Mug, Sealable Lid w/ Loop, Insulating Sleeve, Non-Slip Foot.